Al Amin Hossain, born on 1st January 1990, is a Bangladesh cricketer who has played in the Bangladesh Premier League. He is a right-hand batsman and a right-arm medium fast bowler. His name is considered among the leading bowlers in Bangladesh. 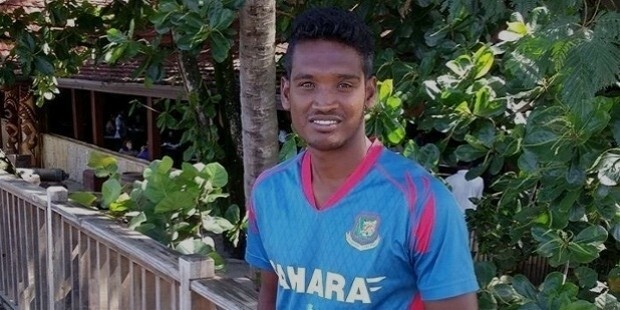 He was also selected to play for Bangladesh in the 2015 Cricket World Cup, but was sent home during the tournament for violating a team curfew. He made his test debut in the 21-25 October 2013, test versus New Zealand, in Mirpur. He has played 6 test matches and 3 T20 Internationals. He averages at 47 in tests. He has recently won the Man of the Match Award in the 2014 ICC World Twenty20 International played on 18th March 14, versus Nepal as he had taken 2 wickets for 17 runs. 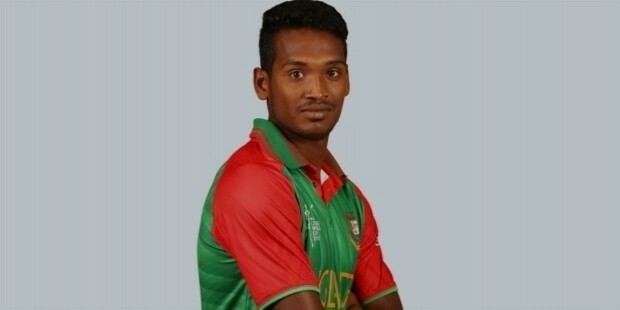 Born on 1st January 1990, in Jhenidah, Al Hamin Hossain is a Bangladesh cricketer who plays for Barisal Burners in the Bangladesh Premier League. His first test was played from 21st to 25th October 2013, versus New Zealand. When playing for his local team Khulna, his team crushed Chittagong by eight wickets in Jessore in the year 2011. He made an impression on Chittagong in both the innings by dismissing the lower order in the first innings and finishing with 7 for 36 in the second innings of the match. Al Amin Hossain began his career in cricket on 21st October 2013, in the Mirpur Test against New Zealand. Overall, in his career, he has taken 5 wickets in an innings in first class cricket 4 times, while he has taken 10 wickets once in first class cricket. He has played 17 first class matches in which he has performed this feat. He has taken a total of 49 wickets in first class cricket to show for his effort. His career enjoyed many highs. First, when he took 12 wickets for Khulna, against Chittagong in Jessore, in 2011, where he made an impression in both the innings, he experienced a high. When again, he was added to the Bangladesh Test team in the Test against New Zealand, in Mirpur, that was another high in his short career. In the year 2013, he took 6 for 16 as the leading bowler for Abahani Limited when he played the Dhaka Premier League. Al Hamin Hossain, was born on 1 January 1990, in Jhenidah, Bangladesh. He initially played at the league level and then in 2013, he was inducted into the Bangladesh Test team. His last test was played in 2014 versus Zimbabwe. He made his T20 International debut on 6th November 2013, in the game against New Zealand. In his short career spanning five years, he has achieved a lot. When he took 9 for 58 for Khulna in the second phase of the National League with an 8-wicket win over Rajasthan in a low scoring encounter. Then he took 12 wickets for Khulna against Chittagong in Jessore in the year 2011. The former won the match by eight wickets.